Yoga is designed to unify both your mind and your body. Through deep breathing and controlled movements, your body and mind will find the balance that you need to function at a calm level. This practice has been around for thousands of years now. Yogis rave about the effects that can come from a regular yoga practice. Hemp derived CBD products can promote these same benefits. When you pair them up, CBD with yoga can take you to the next level of zen. Every human body has an endocannabinoid system. This part of the body is designed to restore and maintain balance throughout the body. When this balance is off even the slightest bit, the body can quickly become off track. When you supplement with CBD products, you can gently help your body re-balance itself. CBD interacts with different cannabinoid receptors in the body and targets what is out of balance. The breathing and movement that occurs with yoga can also promote balance. The endocannabinoid system in the body is largely tied into the amount of anxiety and stress that we feel. Stress hormones are released in the brain, and the endocannabinoid system has the ability to address issues that are causing this discomfort. When you add CBD into the mix, you are providing the body with some additional support for the endocannabinoid system. The calming effects that it provides is often just what the body and mind needs. It is important to use a product that is extremely high quality, and the product you choose should not contain and levels of THC. 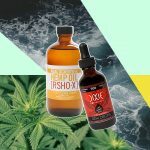 You don’t want to experience a ‘high’ when you are using CBD for anxiety. You just want to reap the benefits of its consumption from a healthy standpoint. 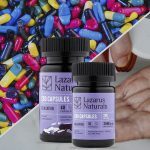 With the pharmaceutical industry aiming to treat anxiety with prescription medication, the market is making about $15 billion worldwide. There are many holistic alternatives that have much less side effects. They are also safer options. If you have ever done yoga before, then you know how important it is to be flexible. You may have been able to follow along with a class, but you haven’t been able to achieve the level of poses that your instructor can. Your body may actually be experiencing some inflammation that is holding you back. When the joints and muscles in the body are not able to function loosely and easily, your mobility can be affected. CBD has been used by many to treat inflammation in the body. The United States government acknowledges that CBD can function as an antioxidant. Antioxidants can make quick work of free radicals that are creating inflammation. After just a short while of taking CBD oil, you may find that your yoga practice is now at the next level. It is important that you don’t quickly become discouraged with the relationship between CBD and yoga. Even if you have never done yoga in your life, now is the time to take up both of these practices. When it comes to yoga, you will want to find a professional in your area that teaches classes. The instructor should be certified and capable. If you have physical issues that you think will keep you from a good yoga regimen, speak with the instructor. There are often modifications that you can do that will still provide you with all the benefits of yoga exercise. The great thing about yoga is that you can practice it as often as you would like. You can go to class on a weekly basis if that is what your schedule allows. If you have time to fit yoga into your routine five times per week, you’ll find the benefits are even more prevalent. 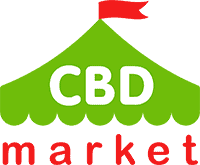 CBD oil can be found both online and in stores. Make sure that you do some research ahead of time to find out more about a specific brand that you are considering. You’ll want to purchase from a brand that explains how their products are made, where they come from, their potency, their safety, etc. The more transparent that a brand is, the more comfortable you can feel with trying a CBD-based or cannabis product. Start out with the smallest recommended dosage. You can work your way up from there if you feel you are going to need a higher dose. In the meantime, you can incorporate a yoga class into the mix to see how you feel after a few weeks. Chances are, you’re going to feel like a completely new person. Keep an eye out for any adverse reactions that you may have your CBD supplement. Most people experience zero side effects while taking a CBD product.